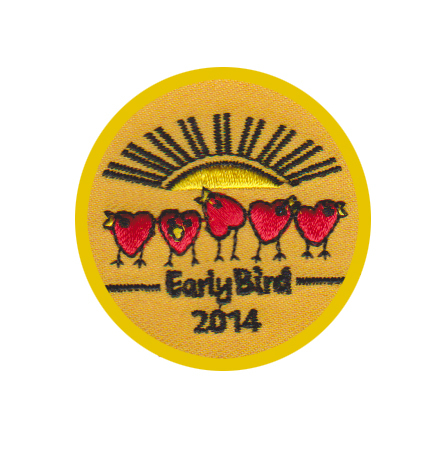 All girls registered by July 12 will receive a special Early Bird Patch. 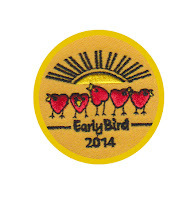 This unique patch, only available to our 2013 Early Birds will be distributed through the Service Units in October to kick-off the Girl Scout season. All registrations must be received by July 12 to be eligible for the patch. Registrations can be submitted by paper or online at www.gscsnj.org/registration. If you have an active eBiz account, please log in. If you have never activated your eBiz account, please follow the directions listed online at www.gscsnj.org/registration. Click on “My Account” on the top left. Click on “Renew for 1 Year” on the left side. Click “Add” (in red) on the right. Review the information and make updates to your profile. (School, age and grade should reflect information regarding the Fall of 2013). Click “Save” Please consider adding a donation to our Annual Family Campaign. Click “Process Payment” and print a receipt for your records. Repeat these steps for each additional family member. eBiz Support Team at 800-582-7692 ext. 288 or email ebizsupport@gscsnj.org.